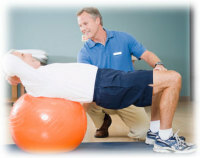 Our mission at Preferred Rehab Care is to provide state-of-the-art physical therapy and rehabilitation services capable of improving people's lives and inducing health benefit to them through the relief of pain and the restoration of physical function. The staff believes that an atmosphere of clinical experience, patient advocacy, and ethical and forthright business practices provide the best framework for this to occur. HAVE PAIN THINK PHYSICAL THERAPY FIRST!! We have years of experienced therapist in the field of Orthopedics, Geriatric, Auto Accidents, Neurology, Work related injuries and sports injuries.